Ergotelis manager Takis Gonias has agreed to become Wadi Degla’s new head coach starting from next season after impressing chairman Magid Samy. Maged Samy, who is the owner of Ergotelis and Wadi Degla, has been impressed by Gonias’ work in the Greek Football League and wants the manager to take charge of Wadi Degla, according to Greek website Gazzetta. Degla is currently managed by Tarek El-Ashry, and despite him helping the club avoiding relegation this season, the club have been underperforming, winning just six league games from 20 with El-Ashry. 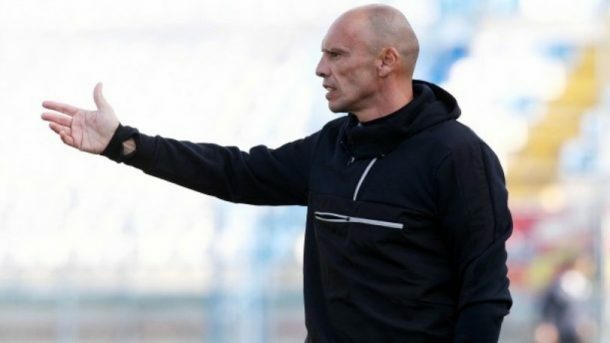 And now Takis Gonias is in line to become the successor to Tarek El-Ashry, becoming the club’s third foreign manager in their history after Walter Meeuws and Patrice Carteron. Wadi Degla will be Gonias’ first managerial job outside of Greece, having managing only Greek sides AO Glyfada, AO Episkopi Rethymnou, and GS Kallithea manager. However, he enjoyed a better career as a player, featuring for Levadiakos, Olympiacos, Iraklis, Sporting Gijón of Spain, Paniliakos, Panionios, and Italian sides Messina and Crotone. He also managed to win two caps for Greece, scoring with a penalty kick in his debut against Cyprus.